Molds, though not animals nor plants, need air, water and food to survive and thrive. The majority of household molds flourish in moist, warm environments and feed on the textiles, decomposing paper, dry wall and wood in your home, as well as nutrient-less synthetic materials, such as paints and pastes. When molds are living on hard surfaces, such as metal, glass and plastic, they consume the dust and dirt on those materials. The mold family is huge—more than 100,000 species! Most you will never encounter. Then there are those that sneak into your home, damage it and bring in significant health risks—from the annoyance of a stuffy nose to a life-threatening illness. Here we acquaint you with eight most common types of mold that may be living in your home right now. Alternaria is notorious for causing allergic reactions and asthma attacks. It has large spores (microscopic reproductive cells) that actually infiltrate your nose, mouth and upper respiratory tract. Aspergillus is the yellow-green mold that you’ll find on food, but it also likes household dust on walls, paper and clothing. It travels easily throughout the house via the HVAC ducts, particularly when you turn on the heat. 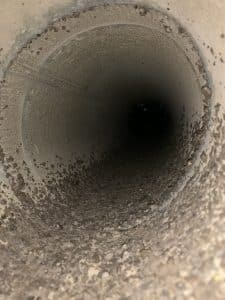 This mold is so common and causes so many health problems that it has an illness named for it: aspergillosis, which includes everything from mild sinus problems and ear and eye infections through bone pain, chest pain and vision problems through major lung, heart and kidney diseases. Chaetomium starts off white and cottony, then later turns olive green or gray. It has that odor that we usually refer to as “musty.” You’ll find it on old or damaged wood and water-damaged dry wall, wallpaper, carpets and window frames. This mold can be extremely dangerous for people weak immune systems, such as premature infants, people in chemotherapy and HIV and AIDS patients. More commonly, it infects fingernails and toenails. Granted, you will never die of nail fungus, but it’s difficult to treat. It’s also grotesque and, therefore, the bane of sandal wearers. This mold can be olive green, brown or black and enters the home through the HVAC system or any airflow entrances. It is one of the hardier molds and can grow in any temperature, including bitter cold. You will find it primarily on damp porous areas, such as fabrics (e.g., carpets) and wood (e.g., cabinets and floorboards). Cladosporium is less toxic than many other molds, but the spores are definite allergens that affect asthmatics and people with respiratory diseases. It also can infect the skin, nails and sinuses. The amazing thing about penicillium is that it naturally produces an antibiotic (pennicillin) that has saved millions of lives. No matter, you still don’t want it hanging around your house. Penicillium comes in shades of blue, green and yellow and can be found on areas damaged by water, such as wallpaper, carpets and insulation. It commonly causes allergies, hay fever, asthma, sinusitis and inflammation of the lungs. This mold’s major diet is wood. It can destroy walls, floors and furniture and, literally, eat up your whole house. It might even make a snack of the masonry. It is rusty-red and spreads so that large areas of your home will be covered with what looks like red dust. Like many molds, serpula lacrymans causes respiratory problems, including sneezing, sore throat, labored breathing and asthma—right up to very serious scarring of the lungs (pulmonary fibrosis). This is the feared “black mold.” Look for black and slimy with a musty odor. Stachybotrys requires a lot of moisture (such as running water) and places that are always damp: air-conditioning ducts, leaky pipes. Also look for it on particleboard, cardboard, hay, wicker and drywall. The airborne toxins can cause some serious problems: breathing difficulties, sinus infections, allergic reactions, asthma attacks, loss of hearing or memory, dizziness, fatigue, and depression. Ulocladium may be brown, gray or green-ish black with a suede-like texture. It grows fast after a home has been flooded or sustained significant water damage. It has the odd quirk (for mold) of not wanting to be alone and often joins chaetomium and stachybotrys in bathrooms, basements and kitchens, on both wallpaper and painted surfaces. Once ulocladium sets in, it’s there to stay. The materials must be removed and replaced. Ulocladium brings on fever-like symptoms, respiratory problems and eye and skin infections in those with compromised immune systems: organ transplant and chemotherapy recipients and HIV and AIDS patients. Many molds are similar in appearance. For the safety of your home and to protect your health, it’s often advised not to tackle mold problems alone. If you think you’ve identified, or may be at risk, please reach out to us. We’re here to help. Check out our FAQs section or give us a call at 1-713-401-9751 or schedule an appointment.